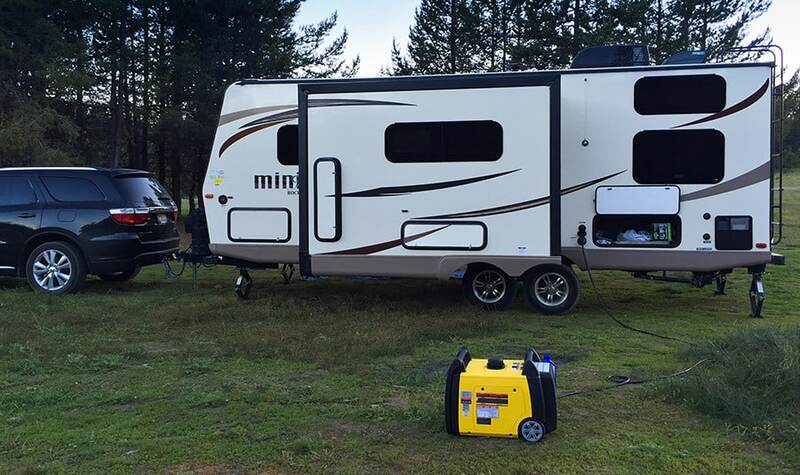 In short, an average camper trailer weighs around 5,200 pounds (2,350 kilos) dry weight, which means the weight of the trailer when its tanks are not filled and it has no gear in it. You can expect to add 1,500 pounds (680 kilos) of gear and water to that number to get a “real world” example. 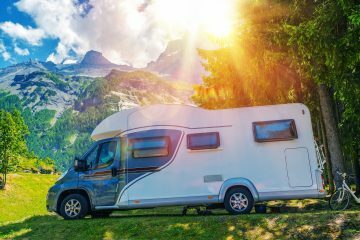 Obviously, this depends dramatically on the length of your camper trailer and the construction type of your camper, so I’ll include a bunch of examples later in this article. As a general rule, you can expect your trailer, filled with water and gear, to weigh about 250 pounds per foot of trailer (the box length, not the total length including the hitch). I’m assuming you googled average camper weights because you’re trying to figure out how big of a trailer you can buy and successfully tow with your truck. In general, a truck or other vehicle that advertises it can tow 7,200 pounds (3,250 kilos) is adequate for towing most trailers under 24 feet. Water weighs eight pounds per gallon, and an average trailer has a 48 gallon fresh water tank. Just your fresh water tank will add nearly 400 pounds to the weight of your trailer. Then, we add in gear to the camper. A generator capable of powering a travel trailer air conditioner weighs about 90 pounds. You’re likely to add another 400 pounds of camping gear, food, and kitchen supplies–even if you aren’t going crazy. Remember that if your camper has slide-outs, it will dramatically increase the weight of the trailer. A single slide-out often adds 800 pounds to the weight of the trailer. If your camper has “pop outs” instead, which are the canvas tent material that pops out, it won’t really add any significant amount of weight. This is only the motorized slide outs that I’m discussing here. There are basically two ways to build a camper trailer. The first way is with fiberglass construction. This is the type where your camper has smooth exterior side walls. This type of camper has aluminum metal structuring which is significantly lighter weight than traditional “stick built” trailers with wooden 2×4’s. Stick built trailers are the type with aluminum corrugated siding on the outside. They have the bumps along the entire exterior of the trailer. Since you’re adding the weight of a large load of lumber, these trailers are usually about 900 pounds heavier if all else is equal. It can be confusing to see all of the different numbers listed for the campers. When I was out on the lot, I was totally confused when some salespeople would give me the gross weight, and others would give me the dry weight. I learned that the best policy was to take the unloaded vehicle weight and add 1,500 pounds to it for gear and water. Unloaded vehicle weight – This is the weight of the camper itself with no water or gear. Just the trailer. Gross vehicle weight – The total weight of the trailer, full tanks, and an average load of gear. This is the maximum amount that the trailer could possibly weigh. Dry hitch weight – The dry hitch weight is the amount of weight put on the trailer ball of your towing vehicle when the trailer is unloaded of water and gear. This number is usually quite low–about 10% of the total weight of the trailer. For my 25′ trailer, the dry hitch weight is under 500 pounds. Cargo carrying capacity – The maximum amount of gear and stuff that the trailer should be filled with. My recommendation is that you take the dry weight of the camper you are wanting to buy and add 1,500 pounds. Take that number and make sure that it isn’t more than 80% of the total weight your towing vehicle says it can tow. There are lots of good reasons not to buy as much trailer as your vehicle can possibly tow. First of all, it means you’re likely to burn out your transmission over the long term. Secondly, it means you likely won’t be able to drive anywhere near the speed limit when going up hills–if you can make it up hills at all. Last, you want to leave a little margin of error in case either the trailer company or your towing vehicle are giving “overly hopeful” numbers to you in the advertising materials. One last suggestion is that you actually go open the door to your tow vehicle and look at the sticker that is on the inside of the driver door. It will tell you the amount it can tow, and it’s important that you go by that number and NOT the number you see when you google your vehicle and the tow weight. The amount the vehicle can tow will depend dramatically on what options and packages were purchased with the vehicle when it was new, and the only way to know for sure what your specific model can use, is to check the sticker. My tow vehicle is a 2012 Dodge Durango with the tow package. It tows 7,100 pounds. My trailer weighs 4,800 pounds dry weight (6,300 pounds total weight when full of gear and water). Even though that’s nearly 1,000 pounds under what my tow vehicle can tow safely, I still can only go about 55 miles per hour when going up a steep hill. Be wary as you shop for campers to make sure that you don’t get taken by the marketing. Almost every camper today, no matter how bloated and heavy, is marketed as “lightweight, superlight, featherlite, etc.” Check the numbers. 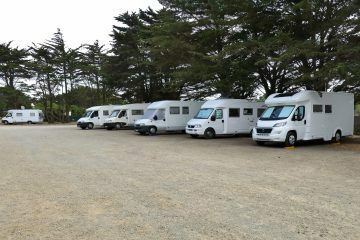 There is a camper for almost every type of vehicle. Even a car can tow a little one-man teardrop camper. However, if you want a massive 26′ trailer, don’t stress your mini-SUV by pushing the limits of your tow capacity. Sometimes, if you want the big fat RV, you gotta get a big fat truck to match. I towed my trailer with a V8 Dodge Durango for a while, but eventually gave in and bought an F-150. Thank you for your common sense, clearly written article. I am very concerned about safe towing with my 2006 v8 Explorer with a 7300 lb tow capacity. I’ll probably buy a Passport GT weighing 4900 lbs shipping weight but plan not to tow with water whenever possible. I’ll be using a Hensley Cub hitch due to my vehicle’s short wheelbase and my concerns about directional stability. Fred, I had a 2006 Explorer with the 4.6L V8 + towing package (which I think was standard on the V8). So, straight away, my max towing is 11,500 – 4,500 = 7,000 lbs. That’s before I so much as put a CD in the radio. I added 700 lbs of fully-clothed people in the car. I then added another 200 lbs of hitch, food, clothes, dog, and other stuff for 900 lbs. So, the Explorer weighed around 5,400 lbs, which is well within the GVWR rating. So, I’m OK there. But, my maximum allowable tow capacity is now 11,500 – 5,400 = 6,100 lbs. So, I’d need to ensure that the GVWR of the trailer I towed was less than 6,100 lbs. I used it for a 3,500 GVWR pop-up trailer. Don’t worry about the dry weight. Worry about the GVWR, as you’ll approach that number. That 4,900 lb trailer will need to accommodate A/C, furnace, and other options from the factory which aren’t included in that 4,900 number. Then your bedding, cookware, the 100-lb battery you add, propane tanks, food, clothes, etc. You’ll be at 6,500+ very quickly. how do I check the weight of the trl after I load it to make sure I don’t add to much? I am moving and have a lot of things to bring with me. My trl is 6000lbs gvwr and my suv dodge Durango v8 is 6000 lbs towing capacity. If you have a cargo van that pull a max of 10,000 lb tow capacity would it safely be able to tow a camper trailer with no problems? 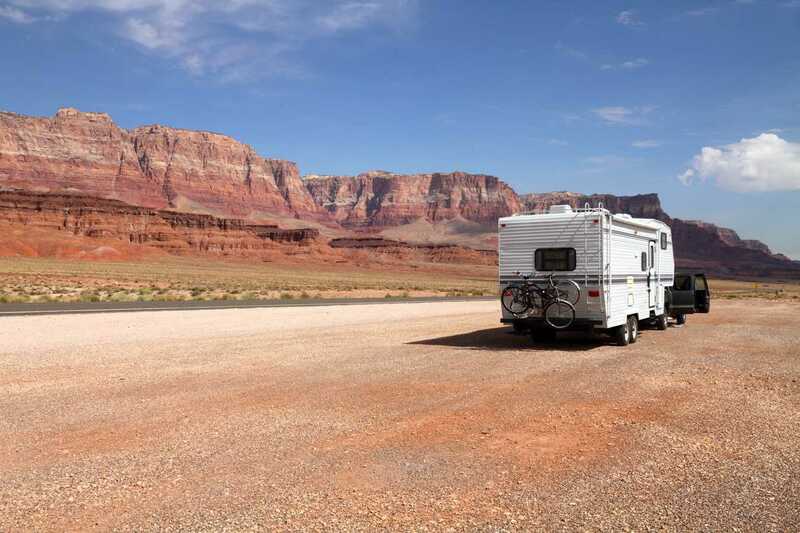 There are a lot of trailers that would be safe to tow, but there are some travel trailers that when weighed down with gear an water would be too heavy. You’ll have to see what the trailer you’re looking at actually weighs. I am still confused and need your advice. All of the above is so informative. I am trying to get my camper towed from one campground to another . 15 miles. An older suit full furnished, figure 250 lbs/ft max. You’re about 9000 lbs. to be on the safe side. Probably close if as you described. Hope you got it accomplished safely. Also, didn’t you need to give your insurer the VIN number when you bought your original insurance. Have them read it back to you. Are you towing it 0.15 miles – a block or two – or 15 miles? NADA Guides on line lists a 38′ Layton with two slides as 8,300 lbs axle weight without all your gear, water, etc. Judging from this article you’re north of 9,000 lbs. It’s not as linear as some of these comments, and even the article, make it appear. You really need a few ratings and weights. The first is the GVWR (gross vehicle weight rating). This is the number that tells you how much weight you can put in the actual vehicle, including the weight of the vehicle itself. You can’t just decide to give a ride to the entire offensive line of the Dallas Cowboys. Your vehicle can only carry so much weight. The Dodge Durango has a GVWR of 6,500 and a weight of 5,100. The next is the towing rating. This is the maximum your vehicle is rated to tow ****under the most optimum conditions****. The Dodge can tow 7,200, as noted by the author. The next rating is the GCWR (gross combined weight rating). This is the amount that I can both carry on the vehicle and tow. What this means is that I can’t max everything out. I can’t put 1,400 lbs of human, gear, equipment in my Durango *and* then tow 7,200 lbs. The Dodge has a GCWR of 13,100. In the real world, you’ll end up adding between 500 -700 lbs of human being in your car for a family of 5, assuming that Dad, mom, and kids weigh (200, 140, 150, 130, and 100 lbs, respectively). This is fully clothed. Add the 75 lb family dog. You’ll easily toss in a few hundred lbs of other gear, trailer hitch, any options you added to the vehicle. So, your 5,100 lb Durango is going to be around 6,100 lbs … if I went camping with my family of 6, we’d be around 6,200 mark. But, for illustration, let’s assume we have 6,100 lbs of weight on the Durango. Can I still tow 7,200 lbs? NO! 13,100 – 6,100 = 7,000 lbs. I can now only safely tow 7,000 lbs. If I use the author’s 80% rule, I can only tow 5,600 lbs. Lesson: you have to do the math. It’s not just about the tow rating of your vehicle. It’s about the GCWR! Andy, I am new at figuring out this stuff and have learned a lot about towing and weights. I came to this article to learn about the average weights of trailers of various lengths and the average amount of weight a person might add to the empty trailer weight. It would appear that getting the actual weight of a trailer could be done by just putting it on a scale. I do not have a truck yet as I am just doing the research and really know nothing at this point. But when I get to your comment you seem to say that I cannot determine the weight of a trailer without knowing the weights and information of the Tow vehicle. With the little that I have learned so far, that would make sense if the article was about towing. I am having difficulty understanding your issue with how the author determine average trailer weights. If I weight my trailer and find that it is 5000 pounds, then how will the GCWR of the tow vehicle cause the trailer to increase or decrease in weight? It would seem from my little knowledge that it would only help to determine if a given tow vehicle can pull 5000 pounds, not if the trailer really weighs 5000 pounds. David, I think you may be misunderstanding my comments above. I’ll try to clarify. First of all, lots of people use truck scales. I have never done this myself, but others do it. When they do, they generally try to make at least 4 measurements with a fully loaded TV and trailer: (1) everything on the scale, (2) the trailer only (unhitched from the TV), (3) the TV without trailer, and (4) the trailer unhitched from the TV with only the tongue jack on the scale (rest of the trailer off the pad). This gives you (1) complete combined weight that you can compare to your TV’s GCWR, (2) the loaded trailer weight that you can compare to your trailer’s GVWR, (3) the loaded weight of your TV to compare to your TV’s GVWR, and (4) the tongue weight that you can compare to the hitch class rating and also get an idea of how well you’ve distributed your weight. My comments above were only regarding how to interpret ratings. A TV might allow 2,000 lbs of payload and have a tow rating of 8,000 lbs. That doesn’t mean that you can add 2,000 lbs to the TV **and** tow an 8,000 lb trailer. People often overlook the concept of a GCWR. In fact, the GCWR is often difficult to find. If you have a 1 ton diesel, then you probably can max everything out because it was expressly designed for that purpose. But, if you have a normal passenger type vehicle, then almost always the GCWR < GVWR + Tow. That means you are in some sort of balancing act that requires some additional math. This is a big problem with two classes: V6 owners buying pop-up trailers and V8 owners buying travel trailers. 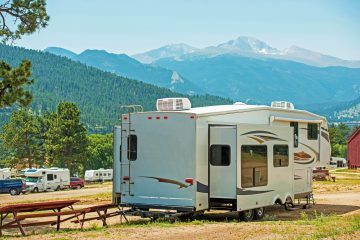 Too often, buyers will purchase trailers that fit within the tow rating. This is too simplistic and leads to overloading of the TV. The original author actually has a problem in his own interpretation. He states two things: he has a rule to only carry 80% of the vehicle's capacity and his trailer weighs around 6,300 lbs. Those are mutually exclusive. 6,300 lbs is actually 87.5% of his vehicle's maximum 7,200 lbs towing capacity. But, even worse is that fact that he doesn't actually have 7,200 lbs of towing capacity (unless he's leaving some of his family behind). He only has around 7,000 lbs. Good news is that he's not violating any of his weight ratings. The combination is fine in the eyes of Dodge's engineers, it just doesn't meet the 80% rule he cited. So, just be aware of the ratings: vehicle, tow, and combined. Then don't exceed any of them. Either estimate or, even better, use actual scales to figure things out. Oh, and as mentioned by the author, ignore dry weights of trailers. They're meaningless numbers. After you add all the options on the trailer (which are not included in the dry weight) and then your gear (pots, pans, clothes, food, etc. ), you'll be much closer to the trailer's GVWR. It's a good assumption to assume that's what you're pulling. So, can you load up your car and still pull the trailer's GVWR behind without exceeding the TV's GCWR? If so, you're fine. If not, time to compromise … such as not carrying any water on board the trailer, only bringing one tank of propane, etc. Hoped this helped to clarify. Andy, you seem to have a great deal of knowledge when it comes to towing. I have read a lot of info, but I’m still confused about what I can safely tow with my vehicle. I think I’m really hung up on payload. Doesn’t the tongue weight of the trailer add to the tow vehicles payload? If my vehicle has a payload of 1400lbs and there are 4 250lbs adults I only have 400lbs of payload left for the trailers tongue weight. I’m not finding any travel trailers with only 400lbs of tongue weight. Thanks Andy, that was a great explanation! What is the GVWR of the Dutchmen trailer? The dry weight of the trailer doesn’t matter, you won’t be anywhere near that. You’ll be near the GVWR after all options and gear you add. You can save by not taking any water with you. How big is your fresh water tank? Multiply by 8.4 to get the weight savings. For example, assume that you have a 35 gallon water tank and you have dual 20-lb propane tanks. You save weight by not bringing any water with you and only taking 1 tank of propane. That’s (35 * 8.4) 294 lbs of water and 38 lbs of the propane tank you saved. If your GVWR of your trailer is 7,000 lbs, then figure you’re carrying around 6,650 lbs with those weight savings. BTW, trailers usually use 3,500 lb axles. So, the GVWR is usually just the number of axles * 3,500. Some also assume some percentage of tongue weight. Weight on the TV hitch isn’t consuming the axle capacity. So, if you assume 12.5% weight on the hitch, you get a 2-axle trailer with a GVWR of 8,000 lbs., e.g. Next, figure out who goes in the TV and how much they weigh, fully clothed. The weight of your vehicle will be on your door jamb sticker or you can look up the average weight of a given truck (usually around 5,000 lbs for a 4WD half ton). Then do the math I mentioned above. GCWR – TV gross weight – weight of cargo including people = amount of towing capacity you have remaining. Use the lower of that calculation and the maximum towing capacity of the truck you’re looking at. In this example, if both numbers are larger than 6,650, then you’re fine. The distance you’re going doesn’t matter. The data are the data and safety is safety. The only exception is inside the CG — filling up your water tanks at the CG’s dump station might put you over the limits, but you’re only driving 10 MPH for a few hundred yards to your site. One thing that I don’t see discussed is “tongue weight”. This is what got us in trouble. I had a 2007 Tundra, with a 5.7l engine, capable of towing 10,000 pounds. The folks at the RV store insisted that my truck was fully capable of towing the trailer we had our eye on. Said trailer had a dry weight of 8000 pounds, and a dry tongue weight of about 1100 pounds. Add 80 pounds of propane on the tongue, plus a 100+ pound Centerline hitch, and we were at about 1300 pounds. I never found out what the rating of the receiver was, but I’ll tell you, even with the Centerline weight distributing hitch, we were dragging our tail all the way home…as in the steering wheel was super light, and barely providing appropriate steering control. On top of that, I figured out that at 1300 pounds of tongue weight, 240 pounds of me, and 120 pounds of my wife, and 40 pounds of dog, we had 1700 pounds of payload, on a truck with a 1590 pound max payload capacity. Needless to say, I was furious with the dealership for insisting my truck could handle that trailer, and told them as much, even though it was partially my fault for not understanding all the parameters necessary for towing before even going to the dealership. Ethically, if not legally, they shouldn’t have let me off the lot with that load. I ended up buying an F-350 thinking I might upgrade to a 5th wheel within a few years, if we enjoyed RVing. We eventually did upgrade, to a class A diesel pusher, but I’ve become much more educated about what I can tow, tongue weights, payload weights, etc…and I’ve lost some weight as well, since retiring. What I’d like to find out is the difference in miles per hour when towing a 5th wheel versus a travel trailer. We are buying our “retirement” camper next year. I’ve got my eye on a 5th wheel that is 8,400 dry weight. We will not carry fresh water in the tanks so figured another 500 lbs. tops for carrying clothing, food, etc. Other option is a travel trailer that weighs about 5,900 lbs. dry weight and add in the 500 lbs for extras. We will most likely purchase a Diesel pick up – 250 or 2500 series. Does the weight of the RV make “that” much of a difference when using a diesel. What kind of mpg can we expect when pulling? If anyone know, please let me know. My work email is: nancy.ferri@lowndes-law.com Thanks!! Just remember that dry weights usually don’t include ANY options and all trailers have lots of options … even some mandatory option packages (which seems to defy the definition of what an option is). So, things like A/C units, furnaces, upgraded refrigerators, larger propane tanks, dual propane tanks, awnings, and other stuff do NOT get included in the dry weight. You’ll probably add 500 lbs of beddiing, food, pots/pans, batteries, and other gear (at least), but there’s another 1,000+ lbs of options that you forgot about. So, it’s always better to start with the GVWR and work backward from there, rather than starting with the dry weight and working forward. With that said, I can’t really help you with MPG. I’m guessing that a 3/4 ton diesel will get in the 10-15 MPG range, but a web search should help. Your weights are off pretty substantially. They are closer to GVWR weights than they are to unloaded vehicle weights. The R-Pod RP 1756 for example weighs no where near 3786 lbs. unloaded. Well said, Randy. Dry weights of trailers should be ignored. Focus on the GVWR. Your trailer will be very near that figure when you’re towing it. Hey Andy I was wondering where you were able to find the GCWR for your Durango. I own a 2014 grand Cherokee with hemi and tow package and like you I am rated to tow 7200lbs. I started looking into my specs and was puzzled to find a stamp on my door which says my vehicles GVWR is 6800lbs while the curb weight is just over 5000lbs. So going by the numbers I can load 1800lbs into or onto my jeep right….wrong. There is another sticker inside the door jam saying cargo & passengers should not exceed 1150lbs? Confused by the 650lbs discrepancy I called Chrysler who could not explain the difference nor could they provide me with a GCWR for my jeep. Try as I might to find the info online or from other sources I have been unable. I have a 1995 304 bh jayco dry weight 5250 and gross 7800 with 2 30 gal tanks. I have a 16 f150 crew v8 stating 7000 tow capacity. I’m concerned that I may have bought to big of a trailer for my truck. I would say my family of 5 and dogs are 600lbs worth in the truck. Thoughts? Great information but I would like to add that you need to also remember what the stopping capability of your vehicle is in relation to the weight you are pulling. I’ve seen many a people be told their truck can “pull” a large trailer (horse trailers too), the question is – if you are going down a grade or steep hill – is your vehicle heavy enough to slow or stop the vehicle. I’ve seen people with Toyotas pull four horse trailers with four large horses in the back but when it comes time to stop it isn’t a pretty sight. Just an FYI. And don’t trust the dealer to tell you the truth – it’s their job to sell the truck – that’s it. Distance traveling does make a big difference. While you should always be within manufacture specs. If traveling alot you should get a bigger vehicle. Traveling at max GVWR is not enjoyable and requires 100% focus and perfect weight distribution. Drive through one of those roadside scales for truckers. Other places with scales would be dumps and industrial recycling centres. I have a 1979 Fleetwood 15′ Prowler tandem axles bumper pull trailer. The tags are off the side, so I don’t know it’s gross weight or axle weight ratings. Can you give me some information on it ? Thanks. Wow your reading my mind. I like sports cars but my current one may not have enough power to pull a 21′ trailer, which would weigh about 5,250 lbs. Can a modern Corvette pull such a trailer? May we assume that its V-8 has enough power to do so? Can its frame accommodate a trailer hitch w/o a problem? How will the hitch affect the Corvette’s performance when it’s NOT towing a trailer? How much would it cost to have that hitch installed? I have a 2001 BMW 4.4L. Can my vehicle pull a single axel 15? travel trailer? Hi Andy, very clear article, thanks! I?m struggling to understand the importance of the tow vehicles max tongue weight. For example, you are pulling 6300 pounds, so if 15% is tongue weight, that is 945 pounds. The 2012 Dodge Durango with tow package has a max tongue weight of 750 pounds, so you are over on that measure, but below the towing capacity limit of 7100 pounds. What are the implications of max hitch weight on the vehicle? Can I go over? I ask because I am considering a Durango for a family hauler / summer tow vehicle. I’m not one to spend years researching something out. I feel the length of time spent “thinking about it” has little bearing on the accuracy of the decision. Rather the information that’s at your fingertips at the TIME of the decision makes for a smart decision. All that to say, if you want a really good quality travel trailer and you’re the type of person who understands quality, all you need to do is do like I did: Spend a few hundred bucks on a trip to the Oliver factory for their 2 hour tour. If you’re serious about getting a trailer, you will have nothing left to think about except what color stripes to have them put on your new trailer. Seriously, long before my tour was over, i was convinced that these Oliver’s are worth every penny and I’m grateful that they spent the years it must have taken to come up with such a high quality travel trailer. know how to find out if does have one. Never paid attention to a T-Pkg really. 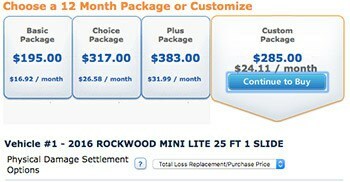 I’m about to be the owner of a 23.4 ‘ Rockwall Ultra-Lite RV/ bumper pull camper trl. One of my X – relatives is selling it to me. It’s clean and I must admit I have never seen but I know it is in great condition. It’s in La. near Alexandria. My SIL said he would pull it here….I live by Galveston,Tx. When it gets down here, I hope to pull it somewhere and I gotta know if my trk will pull it ok. Wish i could tell ya how much that RV weighed empty..
A 38-footer like that probably weighs close to 8,000 lbs but it depends on a few things. For example, if they’re really pop-outs and not slide-outs, that could make the difference of 1,000 to 1,600 lbs. And of course that’s the dry weight. You’ll want to factor in water and gear. But if your Dodge can handle 12,000 lbs I’d say you’re fine. If it can only handle 8,000 or so, I’d get the trailer weighed to make sure it’s well under 8,000. Can a 2007 ford escape pull a 18ft travel trailer with a single slide out. What kind of hitch do we need if it can. I purchased an Arctic Fox 32A this month and am towing with a GMC Denali 2500 HD with the Duramax diesel. The dry tongue weight is 825, and I just weighed it with a Sherline scale, and came in at 1375 lbs. That is with all tanks empty, and a small amount of food and supplies. It’s very misleading by the manufacturers to even suggest that this is a number that means anything. When you add the propane with tanks, batteries, and options like a power jack, there is no more room for carrying anything. Dealers should be required to have scales, and weigh the axels on vehicle and trailer before letting it off the lot. That still leaves the consumer responsible for the loading of gear, but they would be aware of the dangers of over loading. My next stop with the trailer will be at a local truck stop with accurate scales to check all axel weights. If it’s older, you probably no longer have the MSO (Manufacturer’s Statement of Origin) where this is listed. If you have that document, you’ll know the exact dry weight. The dry weight is the weight of the camper with no cargo or water in it, so you could also go have it weighed. 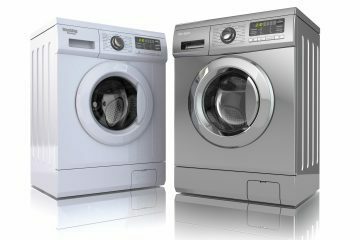 The other option is to look for similar, but newer, models and see what their listed dry weight is. You could do that online. For example, the 2017 R-Pod RP-176 is 17 feet long and has a dry weight of 3,786 lbs (quite a bit more than 100 lbs per foot). It’s going to depend on if your camper has slide-outs, what materials the frame and body are made from, etc. So maybe 100 lbs per ft is a good starting point, but that’s probably only if you have a fairly light camper with no slide-outs or other heavy add-ons. I love traveling and I hope in some moment in the future I will buy it camper vehicle. I have a 2018 highlander meant to tow 5000. My camper has dry weight of 3885. Does the factory couch, ect count as cargo weight? 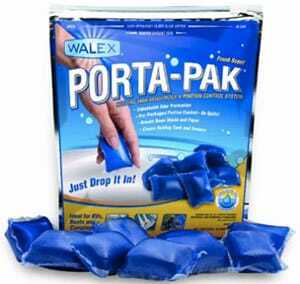 If I pack super light and dont travel with water, does it weigh too much? I’m super confused. The camper has breaks and I’ve added sway bars for safety. But I’m still concerned. I have a ’16 4Runner with a 4 liter V6 and a tow capacity of 5000 lbs. I am looking at a 21′ trailer with a “as sits” weight of 3900 lbs. The 4Runner has a 500 lbs tongue weight rating but I understand can handle more with a weight distributing hitch. I am worried that this may be too much trailer. Any thoughts would be appreciated. Hey guys! I’m an RV newby. Just bought a 2002 Winnie Vista, 21′. Not pulling any vehicles but I want to replace my couch. Temporarily with a 269 lb massage chair. Do you think that weight is going to cause a problem? 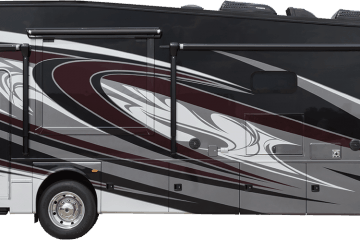 I am thinking about buying an Oliver Legacy Elite 2. It lists the dry weight as 4,600 and the GVWR as 7,000. The length is 23′ 6″. My current car is a 2007 Kia with 307,000 miles. My question is what what towing vehicles should I be looking for? To complicate things, I would love to have a low to the ground car because of my two very old dogs that do not jump In the back of a SUV very well. Please help. Thank you so much. I am so confused. I have a jeep cherokee latitude plus and it says it can tow 4500 lbs. 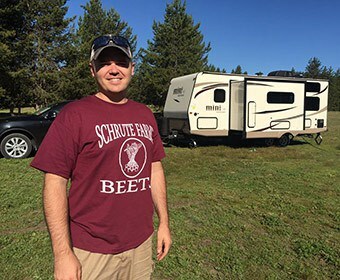 What size camper can I buy? What weight should I be looking for? We just want something to use on the weekend and vacations for Hubby and me. We will only have clothes and food. We don’t have any sports stuff to carry.